Welcome EM Residency Class of 2023! Congratulations to our 2019-2020 chief residents Drs. Cortlyn Brown, Winnie Chan, & Jessica Chow! Dr. William Whetstone, Professor of Clinical Emergency Medicine, represented Emergency Medicine at the "SCI 2020: Planning for a Decade for Disruption in Spinal Cord Injury Research" conference held February 12 at the National Institutes of Health campus in Bethesda, Maryland. He was on a panel that will help determine the spinal cord injury research priorities for the next five to ten years. Dr. Gene Kallsen, former Chief of Emergency Medicine at UCSF Fresno, retired from UCSF in December 2018. Dr. Kallsen wore numerous hats during his 40 years with UCSF, starting as a resident in the UCSF Fresno EM program in 1977. His legacy will continue through the Gene W. Kallsen, MD, Endowed Chair in Emergency Medicine. Dr. Kenny Banh, Associate Professor of Clinical Emergency Medicine and Assistant Dean of Undergraduate Medical Education, launched the UCSF-Fresno Health Education and Learning (HEal) mobile clinic which has the three-part mission of improving access to care in the San Joaquin Valley, training the next generation of physicians and increasing diversity in the medical profession. Dr. Bahn received the California Medical Association's (CMA) Compassionate Service Award for 2018. For inquiries about academic or faculty positions, please visit the UCSF AP recruitment page. For staff positions, visit UCSF Careers. 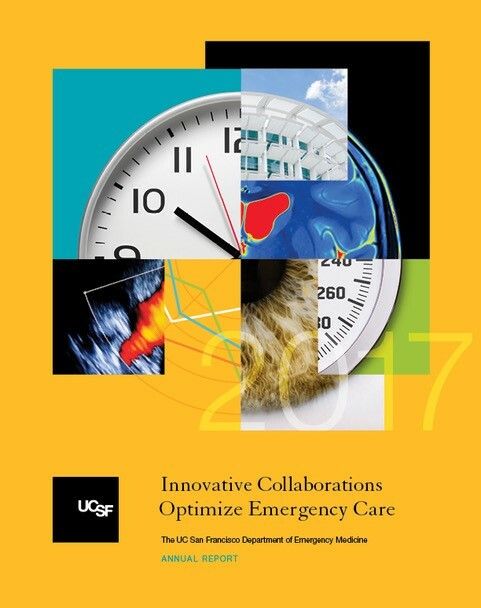 The Emergency Medicine program sponsors several courses each year designed to meet the needs of practicing physicians. Help support our clinical care, research, and faculty positions, as well as our ability to provide scholarships and awards.